We finally made it! 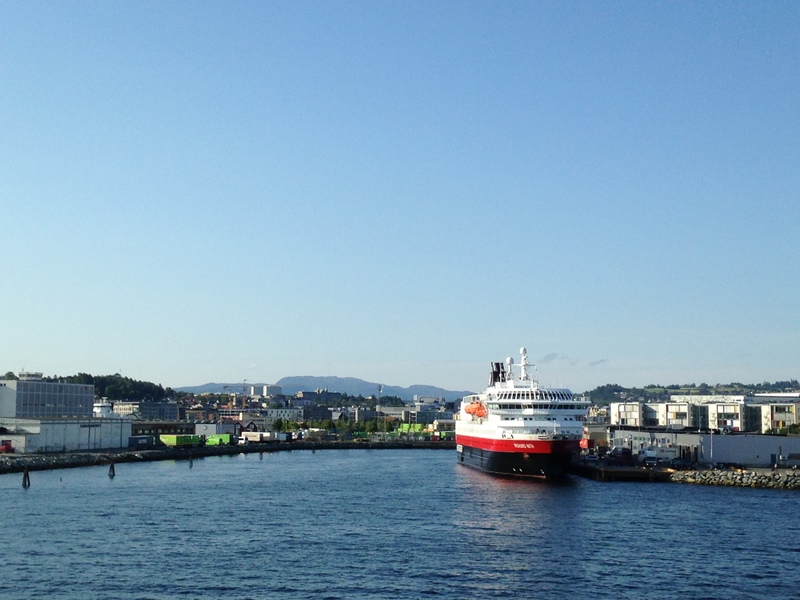 At around 8am the Finnmarken docked in Trondheim after a particularly impressive bit of parallel parking. 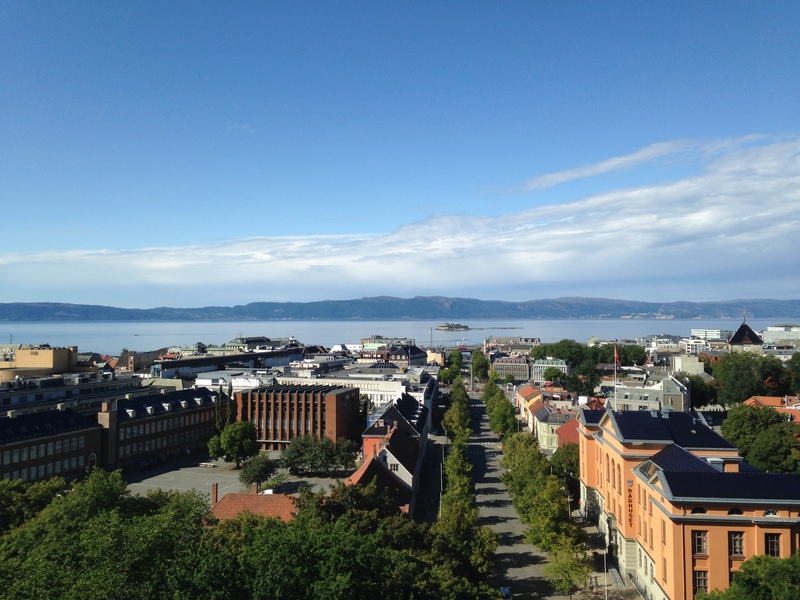 My parents graciously decided to stay with me in Trondheim for a few days so my first impression of Trondheim was a hurried mix of sightseeing, grocery buying, and Ikea constructing. 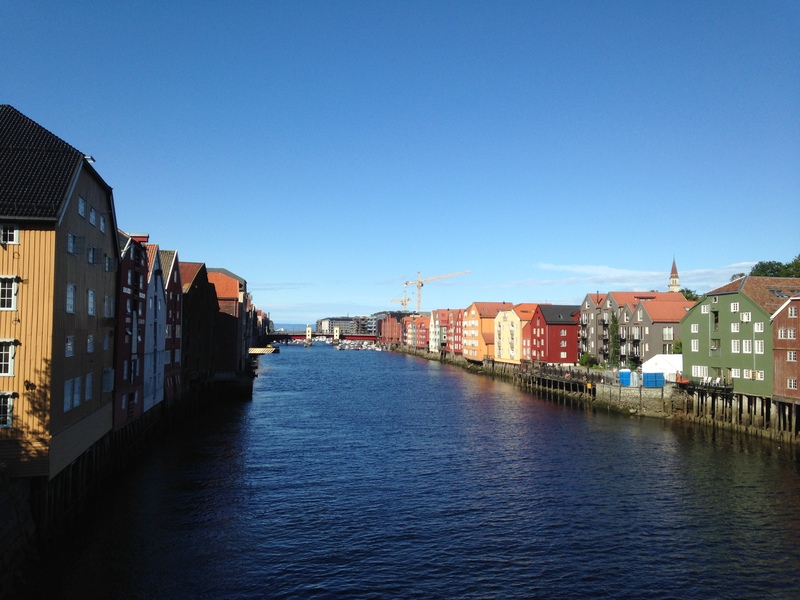 My initial thoughts on Trondheim are that it’s very beautiful and very walkable. You could easily walk all of downtown, otherwise known as Sentrum, in a few hours. The bus system here is also great, if very expensive. 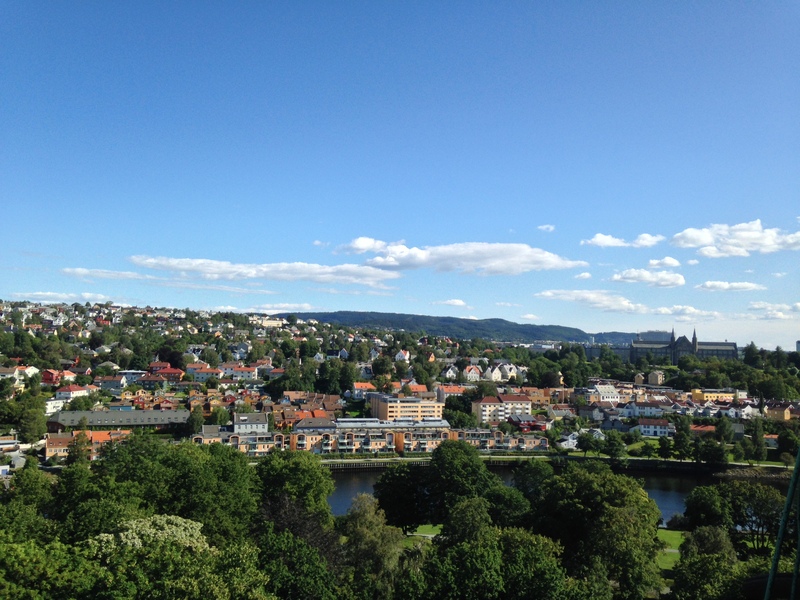 The first place we had a chance to walk around was the Stiftsgården, or the official residence of the Norwegian Royal Family in Trondheim. 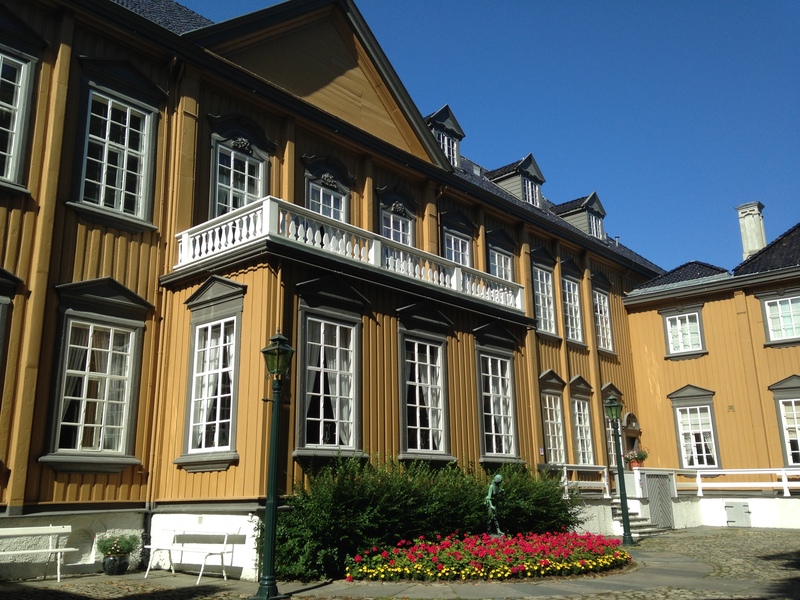 The building was originally built by a wealthy member of Trondheim society and was later purchased by the government and eventually converted into the royal residence. 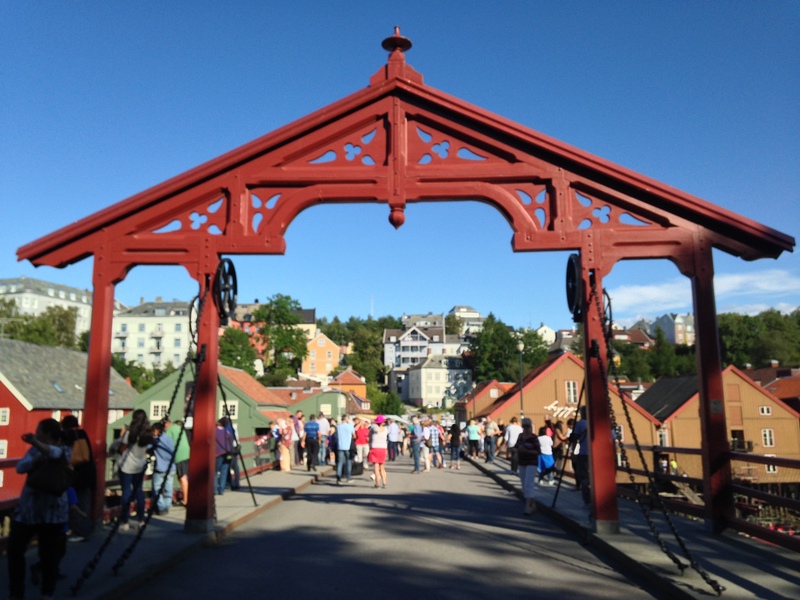 Norway has not always been a prosperous country so many of the Stiftsgården’s original antiques were sold long ago. The current furnishings were mostly provided from the marriage and coronation of Princess Maud of England, a granddaughter of Queen Victoria, to King Haakon VII. Fun fact: the Norwegian Royal Family didn’t actually come from Norway. 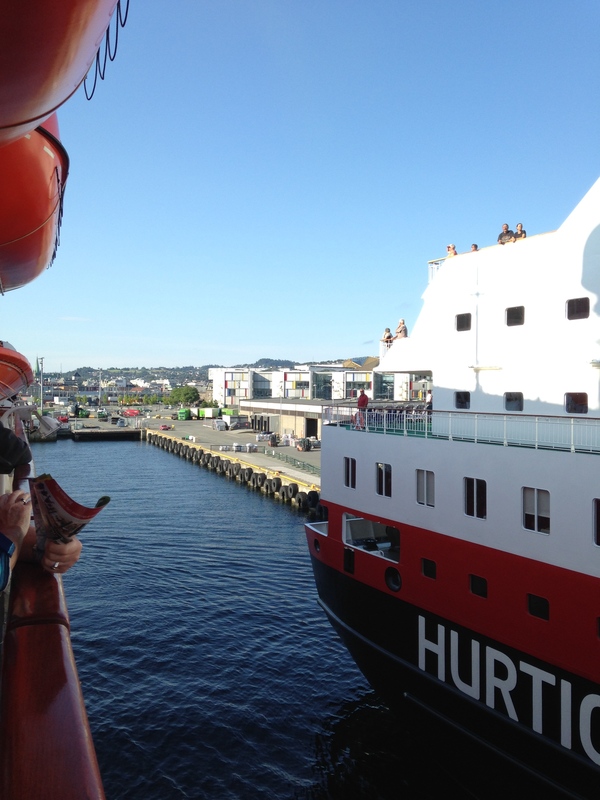 When Norway achieved independence from Sweden in 1905, the Norwegian government decided that it wanted to remain a monarchy instead of becoming a republic. In order to actually establish a monarchy (since they could no longer use the Swedish one), they invited Prince Carl of Denmark to become the king of Norway. When Carl accepted, he changed his name to become King Haakon VII, and Princess Maud became the Queen Consort. We also got the chance to see the Nidaros Cathedral and bought a combination ticket to see the cathedral, archbishop’s palace, and the crown jewels. Because we were short on time I wasn’t able to see too much of the archbishop’s palace, but I did learn that the building has been reappropriated throughout the years, and was most notably a site of resistance against the Nazi invasion. As for the crown jewels, they were of course beautiful but I wasn’t allowed to take any pictures. Now for the cathedral! The cathedral dominates the Trondheim skyline and is in fact the largest and most northern medieval cathedral in Scandinavia. The cathedral was built in this location because it is where Saint Olav was buried. Saint Olav was the king responsible for brining Christianity to Norway, and with the help of his sword, Olav managed to convert the entire country to Christianity within two years. Olav was believed to be a saint because when he died in battle it was said that those who came in contact with his body were healed of their wounds. When the body was exhumed a year later it was said that his body smelled of flowers and showed no signs of decay. The body was originally laid to rest inside the cathedral so that pilgrims could come pay homage to Saint Olav; however, when the Reformation took hold in Norway priests feared that harm would come to body and hid it away inside the cathedral. To this day they still haven’t discovered where the body is, although they continue to test graves within the cathedral. 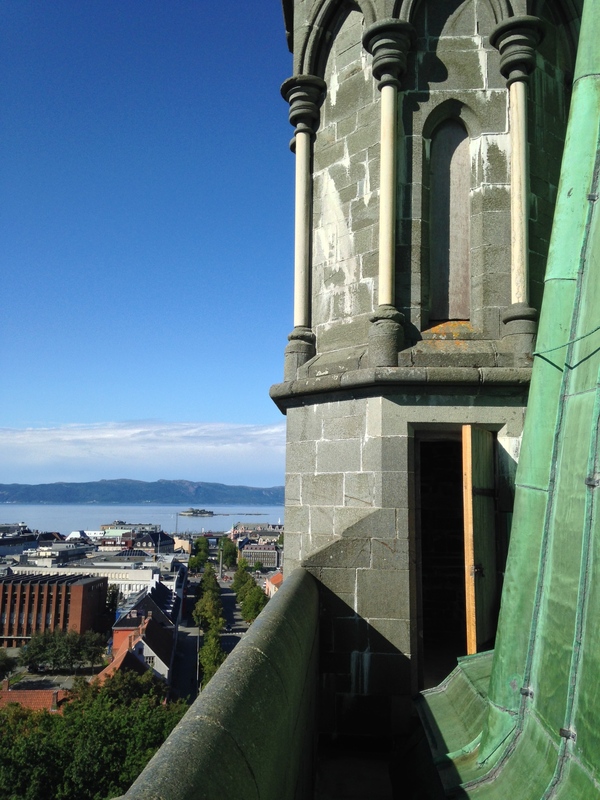 While the cathedral itself was beautiful, for me the highlight of our tour was climbing to the top of the cathedral tower and getting a great view of the city skyline. Overall it’s an experience that I would wholeheartedly recommend.